Morwhenna. The Creative Adventurer: March is around the corner. That means UFO month is BACK! March is around the corner. That means UFO month is BACK! Yes Indeed. Running UFO* month last March was Fun & Productive so I'm running it again. Just to clarify - A UFO is an Unfinished Object. A project you started but didn't quite finish. If you are anything like me then I am sure you have plenty around your home! 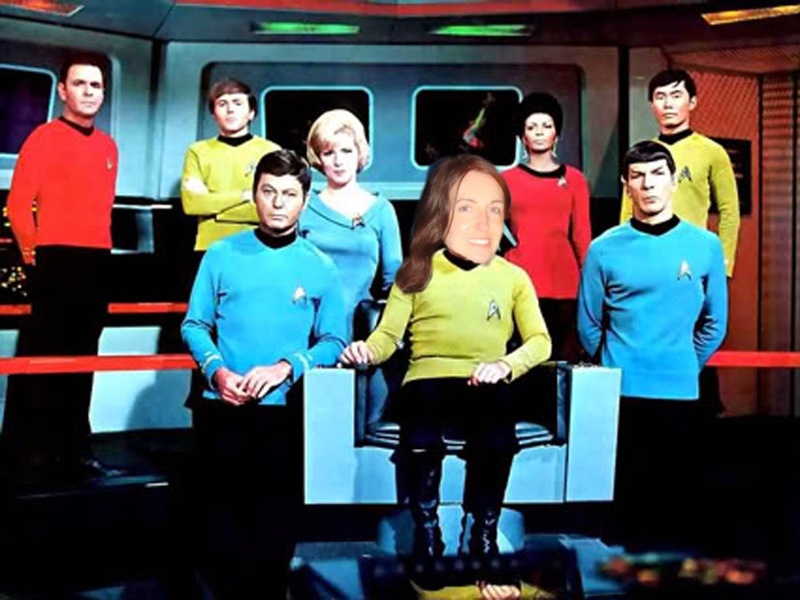 Visualise me as your Captain Kirkina (if you will), guiding and encouraging you to uncharted planets through all those UFOs where all projects have been completed. oooh Just IMAGINE what they would look like!! OK a side note: if you have A LOT of UFOs floating around then visualise completing just ONE of these – OK. Don’t want you getting in a tizzy thinking you have to work on every single UFO you've ever started in one month. Just think how much brain space this will free up once these UFOs are no longer in your atmosphere? Not to mention more space round your home, and the biggest thing of all - that feeling of joyful satisfaction of getting that project, well, finished? Finally. Well intrepid space invaders – that Someday is HERE and it's a whole month - March! *Yippee* See even the Klingons are dancing! So if you’d like to be part of this adventure and chart a course to Planet Completeo (Feel free to create your own plant name!!) then join me by signing up below. There are no costs involved, you do need to be in my Creative Adventurers Playground though. This is a private invitation only group on Facebook. To be in this group all that is required is to sign up to my playletter. I'll send you an invite - then you are all good to go! Want to join in? Sign up here! Already part of my group? Then keep your eyes peeled for actions! YES! I want to chart a course to planet Completeo! Right – I’m going to jump in my rocket ship and go and check out what UFO I’ll be confronting in March. It's time to deal with those UFOs. 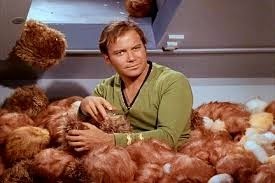 They are like Tribbles you know...They multiply.